Transcendental Tunes | OK Listen! 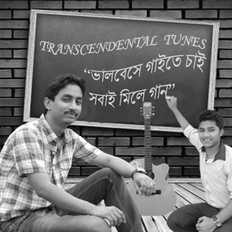 Formed in 2013,Transcendental tunes is the brainchild of Srijit Roy. A sound engineer, well versed in basic musical instruments , he has been associated with music for a long time and his passion for the same led him to an endeavour by which he could inculcate the same love for music in all . Since its formation, Transcendental Tunes has tried to reach out to all sections of the society like the old age homes, rural remote areas ,orphanages and schools for underprivileged and special children, and has even prepared them to perform on stage with live music. Travelling in and out of kolkata Srijit along with Debraj, Puja, Shreya, Soham and Riddhi,has taken up the cause of spreading joy and happiness through rhythmic and soulful English, Hindi and Bengali numbers. 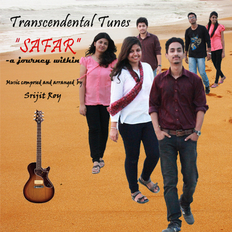 In 2014,the band released its first Bengali album with beautiful lyrics from Smt Jyoti Roy which had soft and melodious tunes and gained widespread appreciation. 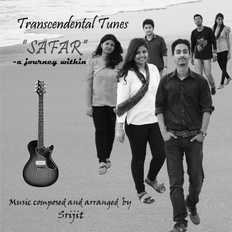 This time, they have returned with their Hindi album ‘Safar’ with lead vocalists Puja and Srijit accompanied by Debraj and lyrics penned by Shreya. The album is full of fresh songs for everyone and the listeners will find themselves relating to the simple yet reflective tunes.